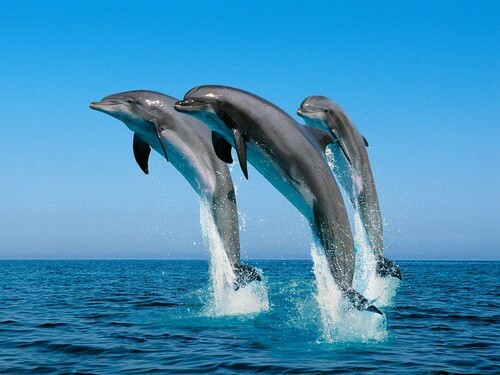 dolphins. . HD Wallpaper and background images in the जानवर club tagged: animals. This जानवर photo contains billfish, बिलफीश, and मार्लिन. There might also be spearfish, भाला मछली, स्पियरफ़िश, स्वोर्डफ़िश, xiphias gladius, एक्सपीस ग्लैडीस, अटलांटिक हेरिंग, clupea harengus harengus, क्लपेआ हरेन्जस हरेन्जस, and अटलांटिक मछली.